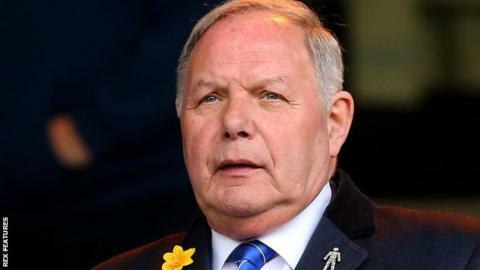 Peterborough United's director of football Barry Fry has been suspended from football until 1 March after accepting a Football Association charge of breaching betting rules last season. The 73-year-old was also fined £35,000 after Wednesday's independent hearing. The League One club say Fry bet on a Posh player to finish as the division's top scorer and for Posh to be promoted. He was given a four-month ban from 1 February, but with three months of those suspended for a two-year period. In August 2014, the FA made it illegal for anyone involved in football - from players and managers, to the match officials and club staff - from betting on all matches. Fry is a former manager of English Football League clubs including Birmingham City, Southend United and Peterborough, who are sixth in the third-tier table.